Offering advice for teachers eager to develop better discipline in the classroom, this guide provides practical methods for eliminating disruptive behavior, encouraging productive work habits, and communicating with parents. 32 line drawings. HITS, High Impact Teaching Strategies, and HOTS, Higher Order Thinking Strategies, is an essential reference for primary and secondary teachers and tertiary educators. It translates educational research into classroom practice while encouraging student engagement, learning and social development. It also has strong links to Australian Curriculum. 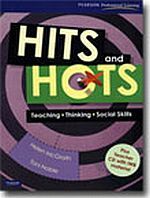 The HITS and HOTS in this resource are supported by sound evidence for their effectiveness in teaching and learning. Step-by-step instructions and teaching ideas are provided for over 50 teaching strategies, educational games and quizzes. Opportunities for students to practise the social skills that lead to effective teamwork are built into each strategy, game and quiz. * Meet federal mandates despite limited time and resources. An invaluable resource and text, the book features illustrative case examples, figures, and charts. Also included are reproducible assessment instruments, parent and teacher forms, sample meeting agendas, and other useful materials. Photocopy Rights: The Publisher grants individual book purchasers nonassignable permission to reproduce selected materials in this book for professional use. By developing an in-depth understanding of noncompliant behavior, K�12 educators can help even the most troubled students learn to function cooperatively and respectfully in the classroom. Remove barriers to academic achievement by developing students who are cooperative and ready to learn. An activity book to go along with My Mouth is a Volcano, by Julia Cook. Use as a supplementary teacher's guide with the storybook. Full of discussion questions and exercises to share with students. Use this philosophy as a foundation for fostering cooperation, problem-solving skills, and mutual respect in children. You'll discover how to create a classroom climate that enhances academic learning, use encouragement rather than praise and rewards, instill valuable social skills and positive behavior through the use of class meetings, understand the motivation behind students' behaviour instead of looking for causes. From attention deficit disorder to kleptomania to fighting, this book covers every potential problem in the classroom, listed alphabetically for quick, easy reference. Plus it offers practical, useful, and respectful solutions to the everyday challenges the classroom situation can present. Illustrations. This indispensable practitioner resource presents classroom-based strategies for supporting all students' success and psychological wellness in grades K�9. The authors clearly explain what makes a classroom a healthy place to learn. 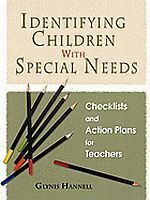 They describe effective procedures for recognizing when a classroom is lacking essential supports, intervening to put missing supports into place, and evaluating the effects on learning and development. Rich case studies show how the strategies have been used by actual educators. Reproducible worksheets and planning tools are included; the large-size format and lay-flat binding facilitate photocopying. Purchasers also get access to a Web page where they can download and print the reproducible materials. * Incorporates a substantial new research base. * Expanded K�9 grade range. * Discussions of timely topics: English language learners, cultural diversity, response to intervention, and positive behavior supports. * Most case studies are new. * Seven additional reproducibles (intervention strategy sheets). PHOTOCOPY RIGHTS - The Publisher grants individual book purchasers nonassignable permission to reproduce selected materials in this book for professional use. For details and limitations, see copyright page. 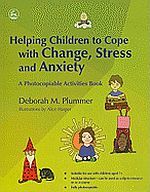 Thousands of teachers, childcare providers, and parents are turning to the solutions presented in this revised edition that provides the most up-to-date alternatives to the ineffective extremes of punishment and permissiveness, and outlines methods for setting clear, firm limits supported by words and actions. Looking for clever and entertaining as well as effective ways to teach your students how to listen and follow instructions? 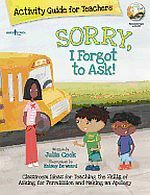 To help reinforce the social skills lessons in her childrens book, The WORST Day of My Life EVER!, author Julia Cook has created 24 engaging games and activities teachers can use in their K-6 classrooms.